89" Low Compression Stroker Pistons For 1984-'99 HD® Big Twins W/ Super Stock Heads - + .010"
These low compression 3-1/2" bore forged stroker pistons for 1984-'99 HD® big twins are a low compression option for 89" stroker kits for 1984-'99 with 4-5/8" stroke flywheels and S&S® Super Stock heads. 10.5:1 compression . +.010". 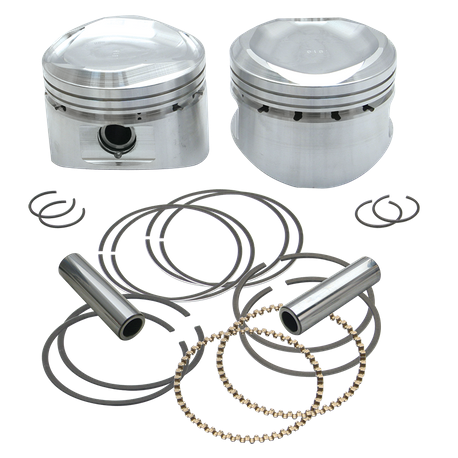 Recommended Piston Fitment: Close .0020"-.0025" Loose .0030"-.0035"